At 400+ years old the Pont Neuf is the oldest bridge in Paris and one of my favourites. It's one of the bridges that I always try and photograph whenever I'm in the city. 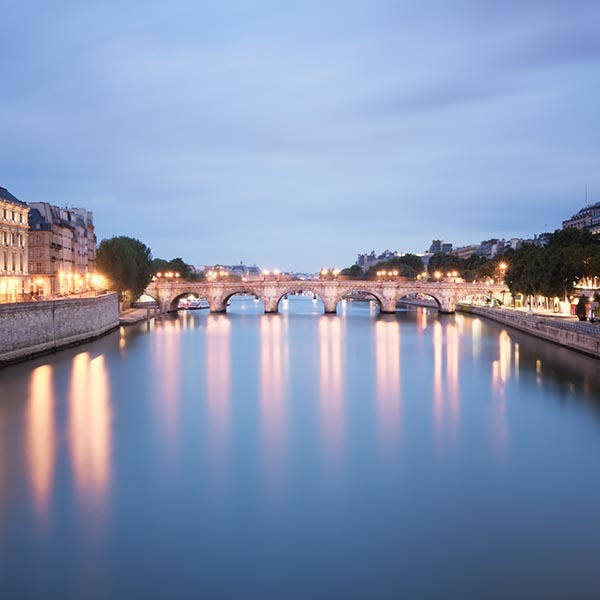 Paris is often referred to as the "City of Light". This photo was taken at dawn just before the city lights turned themselves off on their automatic timers which always comes as a surprise when you are concentrating hard on your photography!